The materials enable the brace to be washed to ensure proper hygiene. Knee brace made of breathable honeycomb fabric on the inside and velour on the outside (both elastic), featuring spiral side stays that provide the knee joint with slight stabilisation in the medial lateral direction. 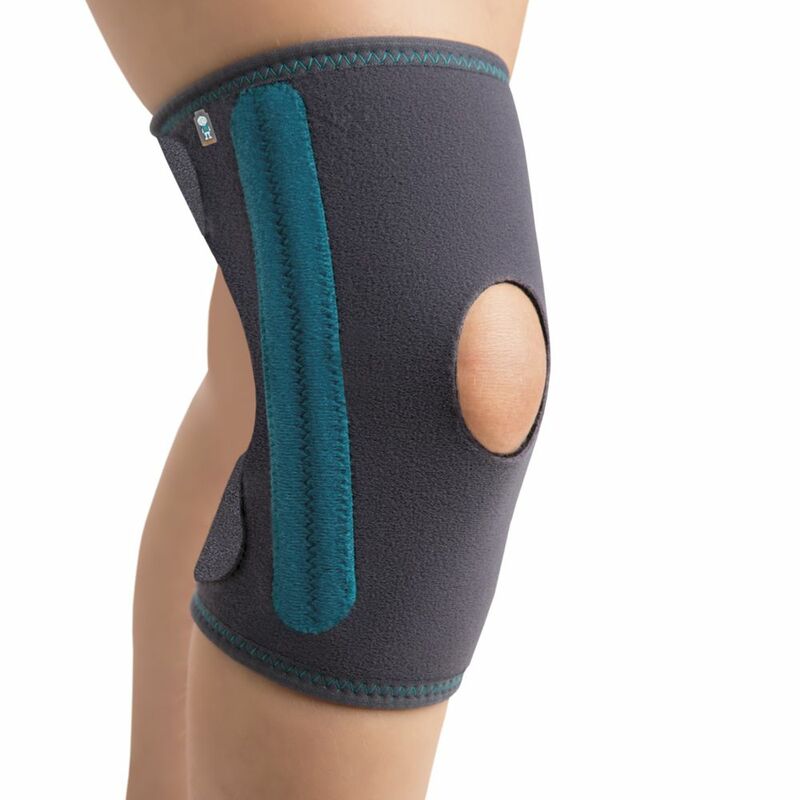 Fastening is by means of two Velcro straps located at the top and bottom of the knee brace. The front part features an open kneecap. The brace comes in the colour grey with green side bars and green outer stitching, providing the orthosis with an infant unisex look. The compression of the brace can be adjusted using the Velcro straps. The materials from which it is made enable the brace to be washed to ensure proper hygiene. Indications: Mild bruising, Patellofemoral injuries, Postoperative treatment, Mild instability of the knee joint, Rehabilitation, Any knee condition that requires centring or unloading of the patella.